A few days ago my wife and I spent a little while at Long Reef Point at Dee Why, a suburb of Sydney. 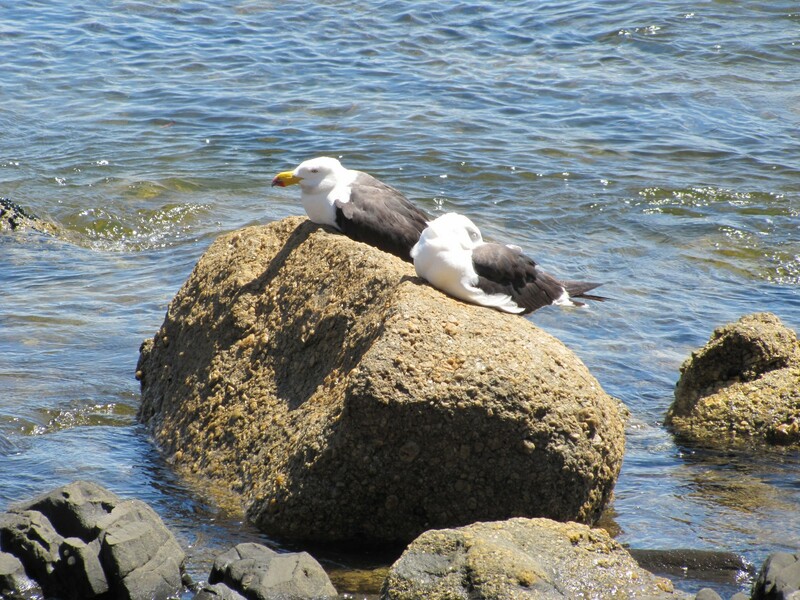 This spot is known for its sea-birds, but at this time of the year only a few resident species can usually be found. Most of the waders have long since flown to warmer climes in the northern hemisphere. 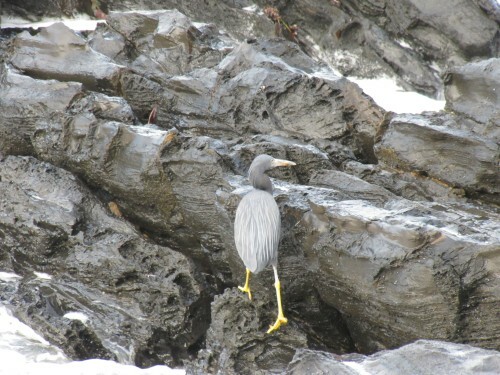 Again – not a great list but about what I expected for this time of the year, and for the weather conditions which were dull and overcast. Next time we visit family in the summer months I must take out time from looking after the grandchildren and visit this spot again. Despite being a popular beach with both locals and tourists, the shoreline at Victor Harbor is remarkably rich in birdlife, particularly shorebirds. 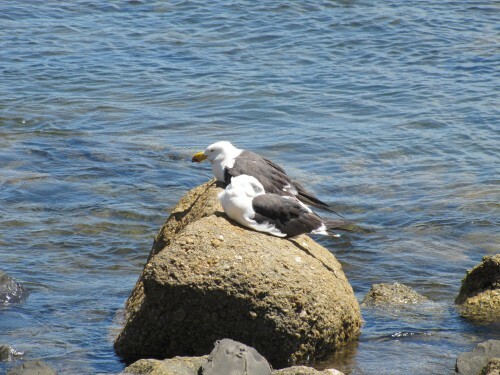 On most occasions the observant visitor will be able to see several Pacific Gulls, either on the beach or resting on the rocks near the rocky outcrop known as The Bluff. A short distance from where I took these photos there is a popular fishing spot. 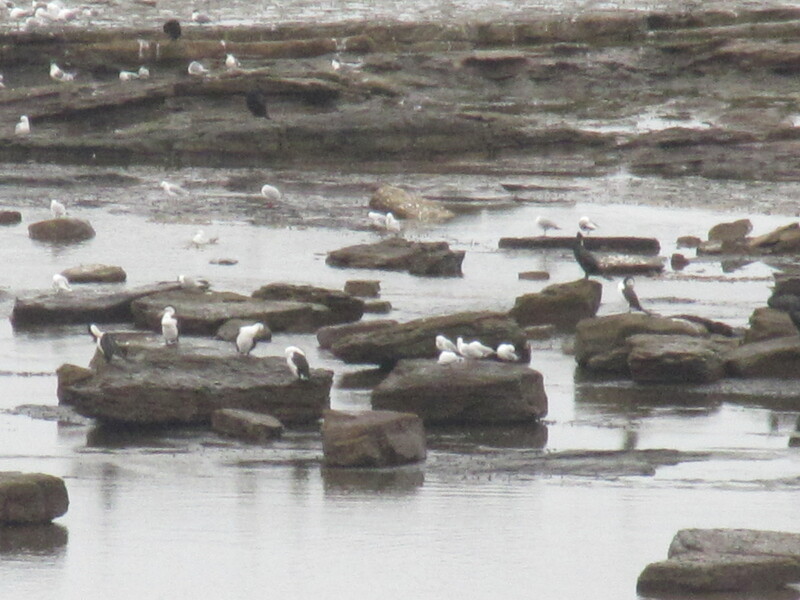 This spot always seems to have a few hardy anglers present, regardless of the weather conditions. Last month we went on a day trip with friends of ours to Victor Harbor. 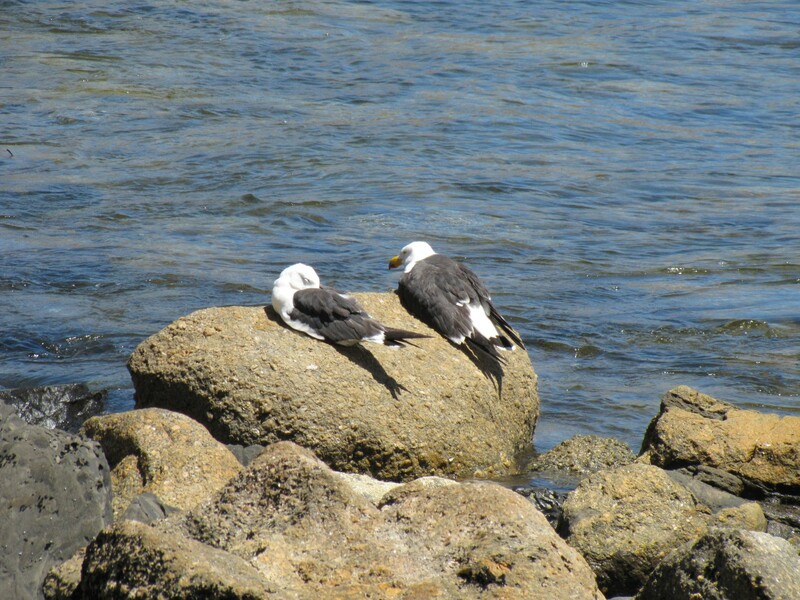 We primarily went to see the whales but in that quest we were unsuccessful. Best thing we saw was several seals. It was a wild stormy day and I guess the whales used their common sense and stayed under water as much as possible. 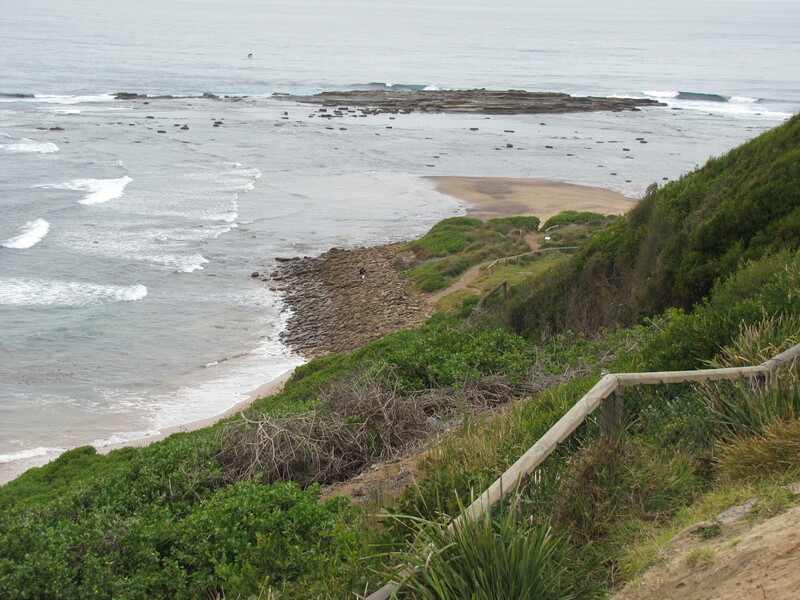 During the afternoon we drove to the base of The Bluff, a prominent hill on the south western edge of town. 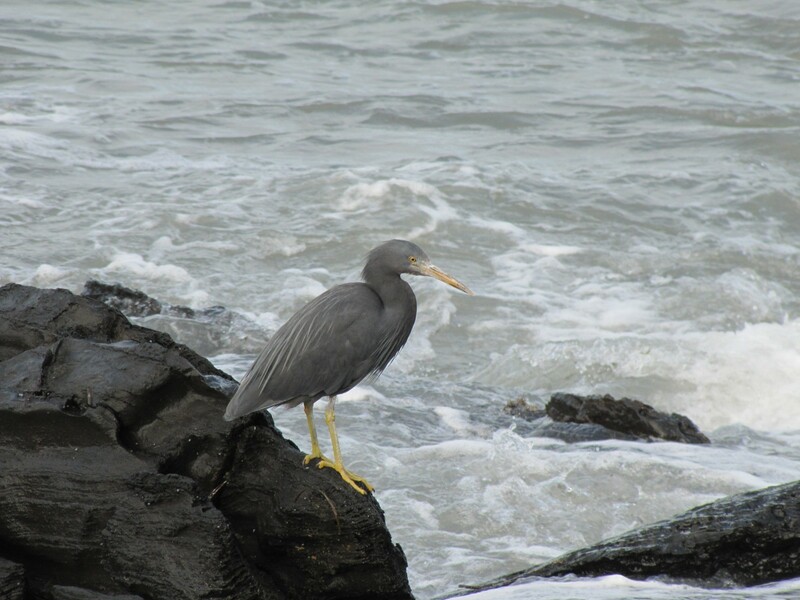 On the short drive to the fishing jetty there are many rocky outcrops close into shore. I’ve always found this spot to be good for birding. I was not disappointed on this occasion either. 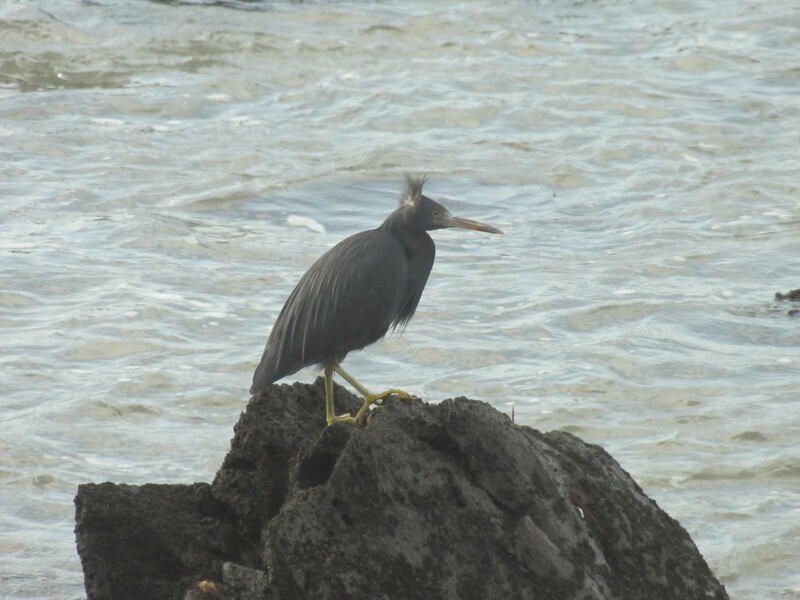 This solitary Eastern Reef Egret (also called Eastern Reef Heron) was busy feeding around the rocks, the photo above showing he has a “crest” – it’s actually the blustery wind giving the bird a “bad feather day”. 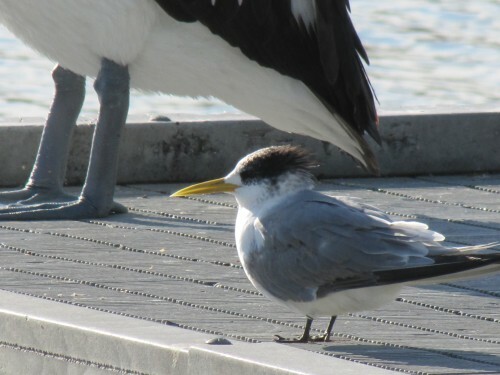 This species in interesting in that it can be found in both the dark morph, shown in these photos, and a white version. 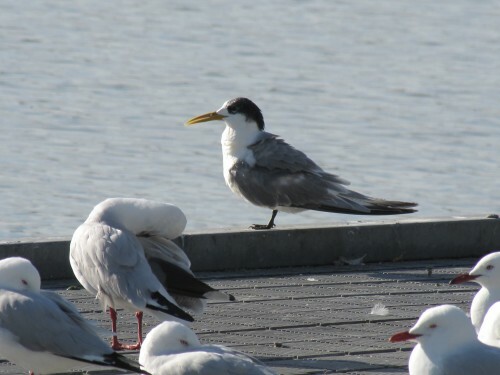 As far as I know this species is not very commonly seen in South Australia, so I have reported this sighting to Birds SA. In fact, I’ve never seen it in South Australia myself. I’ve only seen it twice before – both times in Western Australia many years ago. This species is not to be confused with the White-faced Heron, shown in the last photo below. I know that Silver gulls are very common throughout Australia, but I must admit that I always enjoy taking photos of them. Generally, they are not at all afraid of humans (except for those over-active little versions who insist on chasing them), so they are usually very easy photographic subjects to practice on. 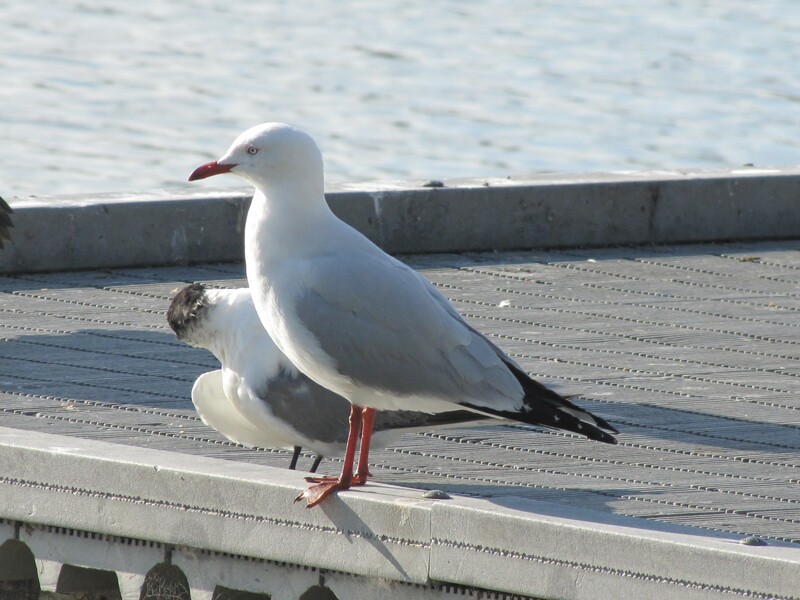 On my recent visit to the local Sturt Reserve I managed several acceptable shots of some of the gulls, as shown here on this post today. 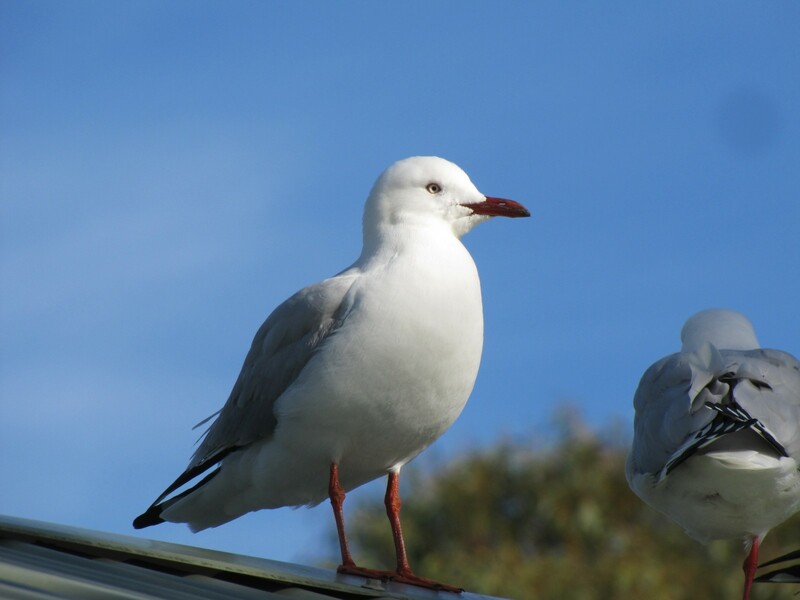 Silver Gulls, despite often acting as garbage disposal units on beaches, river banks and picnic areas, are quite beautiful birds in my view. They have such clean lines and pure colours. I usually forget their scavenging habits and concentrate on the positive aspects of their appearance. 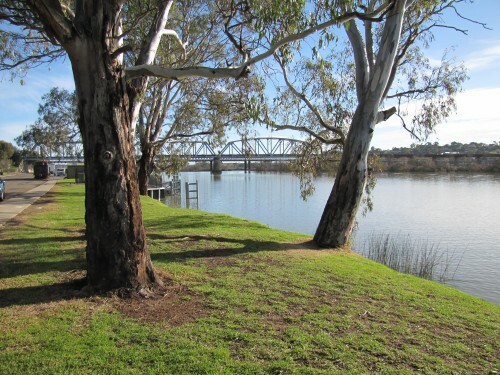 As regular readers of this site would know, I live in the rural city of Murray Bridge in South Australia. Our city straddles Australia’s largest waterway, the Murray River. 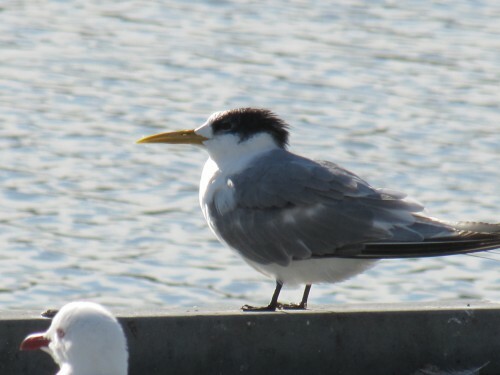 Last week I took an hour out of my busy schedule to take a few photos of birds at Sturt Reserve, named after the early explorer, Charles Sturt who sailed past this spot in 1830. 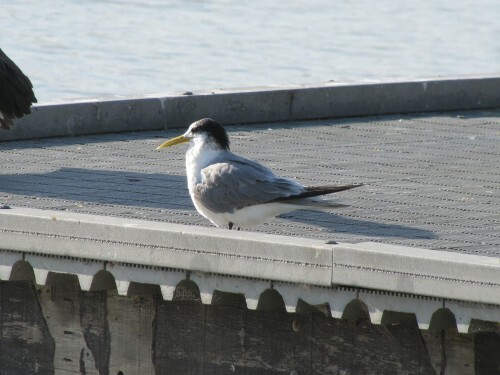 One of the birds I photographed on the small jetty in the reserve was a Crested Tern. 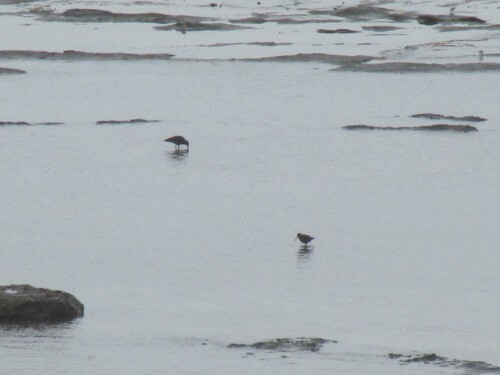 This part of the river is probably about 100km upstream from the river mouth (I’m guessing) but we have several bird species more common along the coast venture upstream this far, including the Crested Terns and the Caspian Terns. 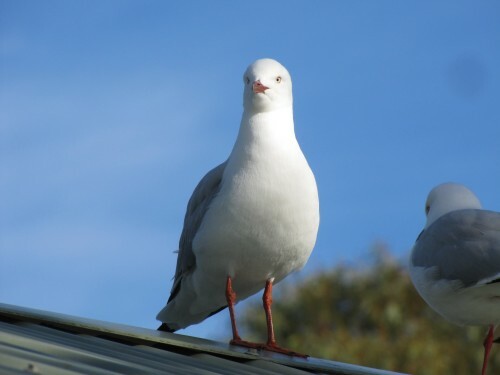 You are currently browsing the archives for the Seabirds category.